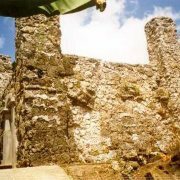 Before the 19th century, Culaba had gained the status of a town. It was then annexed to Caibiran as a barrio when the Pulahans raided and completely burned the town in 1901. After the destruction, the barrio leaders Pacifico Amable and Gervacio Abanilla started the reconstruction of the town. In 1918, the barrio leaders, realizing the former town was fully reconstructed, claimed for independence from Caibiran. Dr. Mariano Jasminez, a red cross supervisor, wrote to senator Avelino in 1953, requested for the issuance of Circular No. 321, proclaiming Culaba a municipality. On October 13, 1953, Pres. 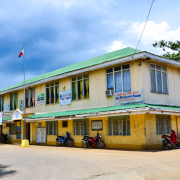 Elpidio Quirino signed the papers transforming Culaba as a full – fledged municipality. Objections for the separation of Culaba from Caibiran were encountered and final proclamation and inauguration was delayed. 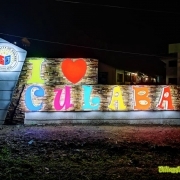 Finally, President Quirino, signed the documents making Culaba a municipality and set the inauguration on January 16, 1954. Mr. Gerardo Sabarre became the first mayor of the newly created municipality. 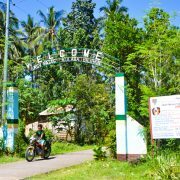 The ancestors of Culaba were settlers from the nearby towns of Caibiran, Carigara and Barugo in Leyte and from the province of Samar and Cebu. 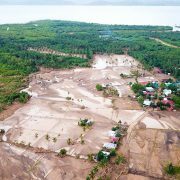 The town was first a barrio located at the northern part of Amambahag River (where now stands the remains of a Catholic Church and Cemetery). Due to constant floods, it was relocated near Culaba brook from where its name originated. The old town site became known as Binongtoan.